Siddaramaiah, who is heading the Coalition Coordination Committee, has stayed away from political action after his objection to Kumaraswamy wanting to present a fresh budget was rejected. 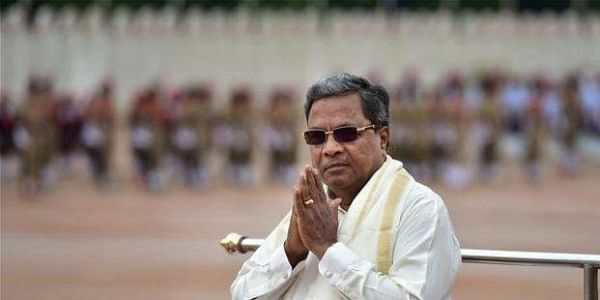 BENGALURU: The coalition government, headed by H D Kumaraswamy, is out to assuage the feelings of former Chief Minister Siddaramaiah by according him the status of a cabinet minister. A formal notification in this regard is expected within the next few days. Siddaramaiah, who is heading the Coalition Coordination Committee, has stayed away from political action after his objection to Kumaraswamy wanting to present a fresh budget was rejected by his own party high command. Deputy CM G Parameshwara lent credence to the reports of cabinet rank which were doing the rounds on Sunday. “State government is mulling to accord cabinet ministerial rank for Siddaramaiah,” Parameshwara said. The state government has already allotted an office to Siddaramaiah in Vidhana Soudha. Parameshwara defended the proposal by citing the precedent at the national level as Congress supremo Sonia Gandhi was accorded cabinet rank when she was the chairperson of the Coordination Committee for UPA government. 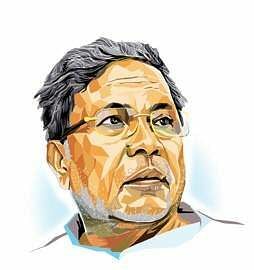 The move to accord cabinet rank has come in the backdrop of a sense of dismay spreading among loyalists of Siddaramaiah, who are feeling sidelined in the party after the coalition government came to power in the state. Congress high command rejecting Siddaramaiah’s objection to CM’s fresh budget idea has not gone down well with his loyalists. Siddaramaiah is also said to be not happy with the way Parameshwara too supported Kumaraswamy on the budget issue. Siddaramaiah is currently at Sri Dharmasthala Manjunatheshwara Yoga and Nature Cure in Ujire for rejuvenation. Parameshwara met Siddaramaiah there on Sunday.